How Do We Help Franchisees Succeed? When you make the decision to become part of The Growth Coach, you’re making a commitment to yourself and your community to help business owners, managers and sales teams grow — both personally and professionally. We’re there with you at each step of the process, to provide training, develop new materials to respond to market demands, and help you grow your coaching franchise through professional marketing and promotional materials. 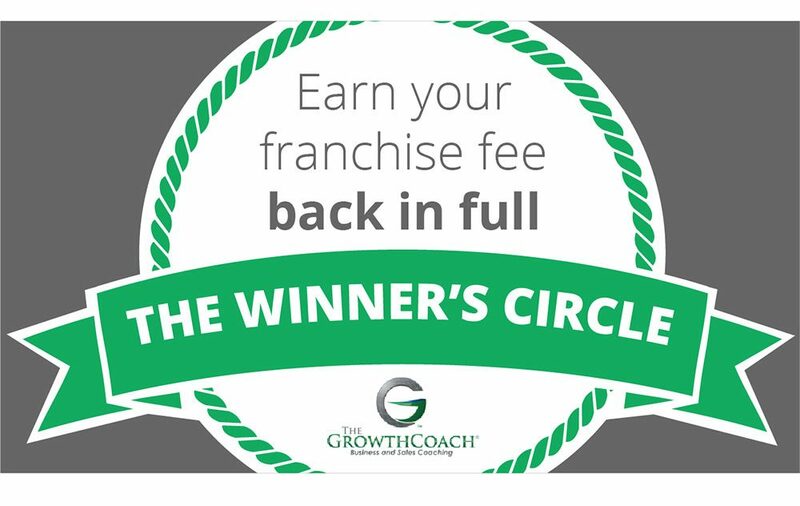 We’ve spent more than 15 years perfecting The Growth Coach franchise model in communities across the country, working with coaches from all walks of life and myriad careers. All that work shows in our comprehensive training programs, simplified business operations, referral-based marketing systems, and high-visibility branding. When you combine your desire to help others and drive to provide coaching with The Growth Coach’s proprietary programs, marketing support and individualized business guidance from our team of highly qualified managers, you’re laying a strong foundation for revenue growth. Here are just a few of the many ways we help franchisees get prepared for their Growth Coach careers. Deciding you want to become a Growth Coach franchise owner doesn’t require you to know how to be a flawless business coach beforehand. We’ve perfected rigorous training programs that cover every aspect of the coaching experience, and we’re constantly updating our materials and the training that goes with them. 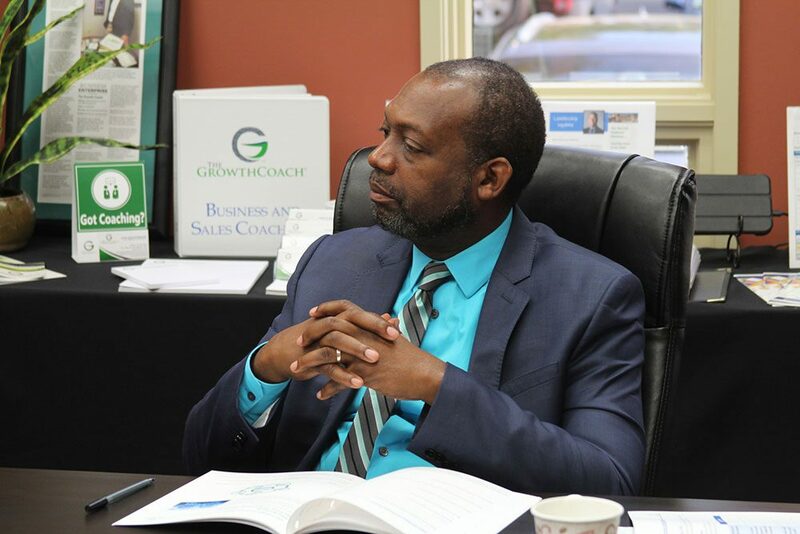 Though much of The Growth Coach model is easy to follow, we nevertheless focus a significant portion of the training on getting you ready to deliver the programs to your clients, and you’ll work with Growth Coaches who have the experience to help you become the best coach possible. After the initial week of training, you’ll continue working with our internal coaches and trainers and with a mentor Growth Coach to perfect your understanding and delivery of our programs. From beginning to end, you’re never alone in the process. Sixty-seven territories across the U.S. demonstrate The Growth Coach’s tremendous potential for growth. Franchise owners are a vital part of that growth, and our U.S. operations are no different. We value franchisee input, and we encourage them to provide regular feedback on our franchise system — what’s working and what could be working better. This in turn drives growth. Ray points to the sales manager training programs as an example of how The Growth Coach leverages its resources to maximize potential. The program was created to help sales managers and sales teams through the Great Recession — and it was deployed in record time. A business is only as good as the brand image it creates. At The Growth Coach, we take that image quite seriously. Recently, we undertook a major update of all our marketing and branding materials, including a new logo that demonstrates our global appeal. For Josh Johns, Director of Marketing for The Growth Coach, making sure franchisees have what they need is of paramount concern. Beginning with our 90-day “Secret to Success” marketing plan, you’re prepared to generate referrals, develop social media leads, appear on local podcasts, place banner ads in key online media, and build awareness of your brand. All the while, you’ll have the support you need from our top-notch management team. That means answering needs as they arise while at the same time providing long-term strategies and materials. Whether it’s a series of banner ads for a trade show or a personalized web site for your market, our team of marketing and advertising professionals is there with the tools you need to promote your business. At the heart of these efforts, whether it’s making a bookmark-style business card or designing a new corporate coaching initiative, The Growth Coach culture is what ultimately drives our mission. Learn more about that culture, or apply to become the next Growth Coach today.